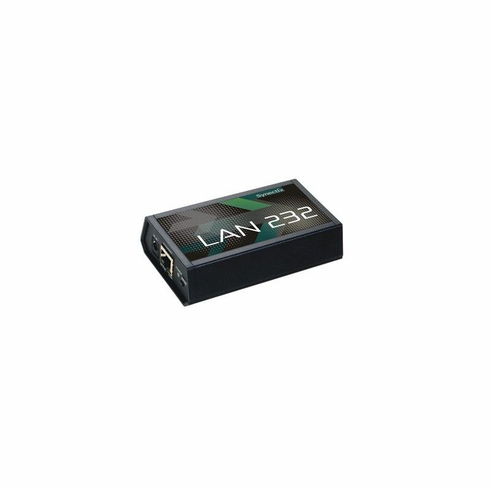 The LAN 232 is a bidirectional Serial to Ethernet Converter. With built-in Serial (RS 232) and Ethernet ports, the LAN 232 seamlessly connects equipment such as a PBX to an enterprise Local Area Network (LAN). By connecting serial-based equipment to a LAN/WAN, you can overcome the distance limitations of the Serial ports. Furthermore, connectivity via an Ethernet port enables remote access to equipment. Integration concerns in hospitality applications are easily mitigated by deploying the LAN 232, which is designed for easy connectivity between I/P PBX, Property Management System (PMS) and Guest Voice Mail Systems (VMS).